You might push away from the table stuffed to the gills with turkey and 'taters, but you know when it comes down to it, you'll find room somewhere for a little sweet sumthin' sumthin' to top off your Thanksgiving feast. We've combed through our vast collection of Thanksgiving dessert recipes to put together this sampling of some of our most popular, highly rated, crave-worthy desserts that home cooks love to serve at their own Thanksgiving tables. Take a look and maybe you'll find a new favorite to add to your dessert buffet. This 5-star winner is one of the all-time most popular pumpkin pies on Allrecipes, and is made from scratch with roasted pumpkin instead of canned. (Of course, you can use canned to save time and effort. It's all good.) If you're going to roast your own, read up on how to prep and bake with fresh pumpkin. Home cook LPS says, "This is the best pumpkin pie that I have ever had. Even my hard-to-impress father-in-law loved it." 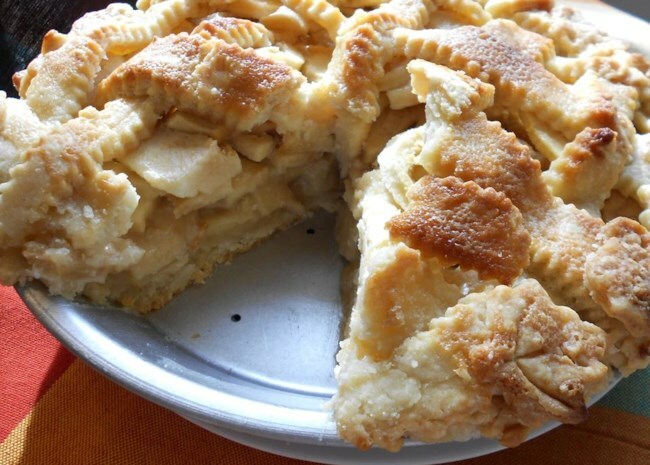 It's no exaggeration to call this the grandmother of all apple pies. Check out the stats: 10K reviews and 2K photos to date. Yes, this pie deserves a place at your Thanksgiving table. Oh, you'll want to read up on how to make a lattice crust, right? Home cook LADYJAYPEE says, "I've made good apple pies for decades. :-) This is an excellent-tasting apple pie and stellar-looking as well. DON'T FORGET TO ADD CINNAMON to the sauce if you prefer your apple pie that way!" Lots of folks prefer the taste of sweet potato pie over pumpkin. (We say, why not do both?) This 5-star recipe starts with fresh sweet potatoes that you'll boil (or roast) yourself. Or you could do what ALHARROUN did: "This is an excellent recipe! To speed up cook time, though, I microwave the sweet potato for 6 minutes. Using the microwave makes it a lot easier, too." 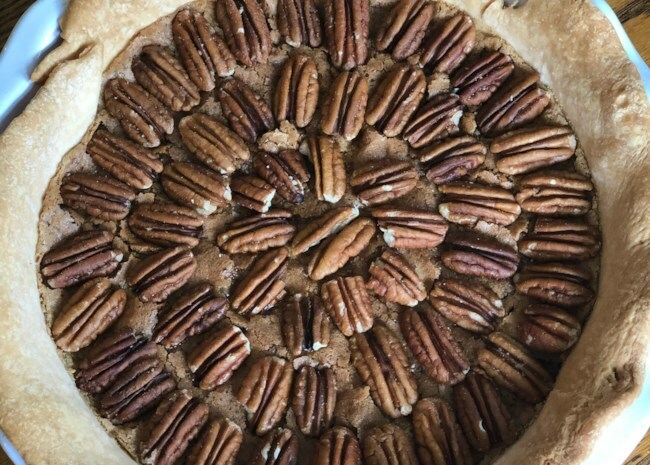 "Unlike most pecan pies, this one does not require corn syrup," says recipe creator Elaine Helms. And that's a plus for lots of our home cooks. ROSEANNEB says, "I'll never make pecan pie with corn syrup again! This recipe doesn't have that sickening sweetness usually associated with pecan pie, but it DOES have that scrumptious nuttiness." Check out more of our most popular Thanksgiving pies, including lemon meringue and chocolate cream. If pies look pleasingly rustic and homey, cakes are their more dress-up cousins that can be centerpieces all on their own. Take a look at some of our most popular Thanksgiving cake recipes. 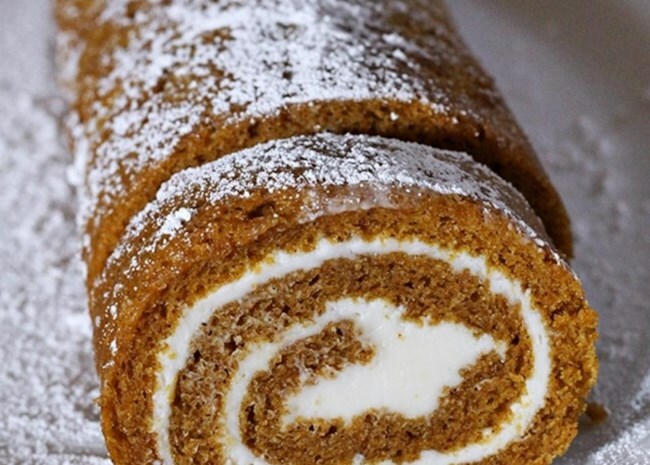 A thin layer of pumpkin cake is rolled up around a sweet cream cheese filling and sliced into pinwheel rounds to serve. Watch the video and you'll see it's actually easy to make. 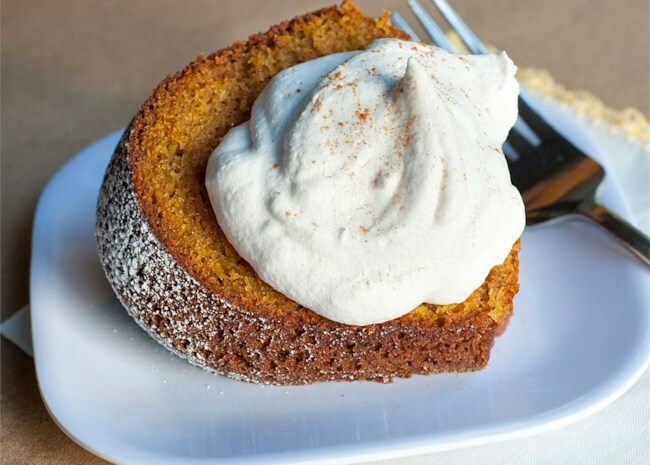 You can bake this moist and spicy cake in a sheet pan per recipe instructions, or in a Bundt pan, round layer cake pan, 9x13 pan, or you can even use it to make cupcakes. Home cook Lyssiana says, "This cake is moist and rich without being overwhelmingly heavy. I have made this twice now. Once in a bundt pan and once as cupcakes. Both times I used a cream cheese icing and it has been a hit every time!" Apples, harvest, and Thanksgiving all come together in this easy cake topped with a homemade caramel glaze. Pie had better watch out! 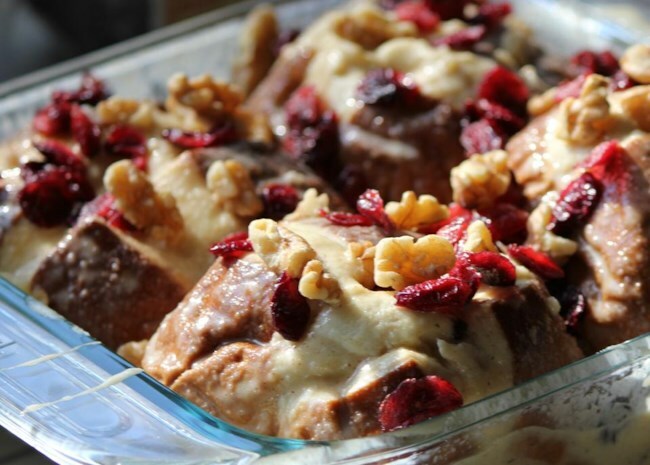 Home cook SweetMaple says, "I served this at a party and everyone raved about it and asked for the recipe! It was great because I made it the day before the party and just drizzled the glaze over it when I was ready to serve it." If you wait for special occasions (like, say Thanksgiving) to make rich, decadent cheesecakes, then do I have some cheesecake recipes for you! These beauties seem especially suited for a harvest feast. If you want to brush up on how to make cheesecake, we can help you out. 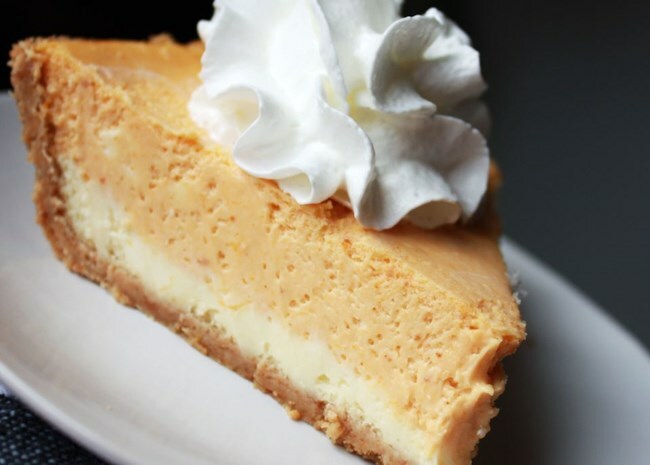 Pumpkin pie meets cheesecake—things get interesting and you get a double dose of mmm mmm good! Madam.D has a helpful recipe tweak for you: "A very tasty dessert! For cheesecake lovers, you may want to double the amount of cream cheese mix. Or, a tleast add 1/2 more because the pumpkin pie layer is thicker than the cheesecake layer. It's very rich, but definitely worth it! Gobble, gobble." A marble-effect topping makes this cheesecake look and taste extra-special. Home cook APRILEYER says, "I made this for Thanksgiving and it was a HUGE hit. It didn't last more than 24 hours. Which is saying a LOT since there were about 20 other desserts available." 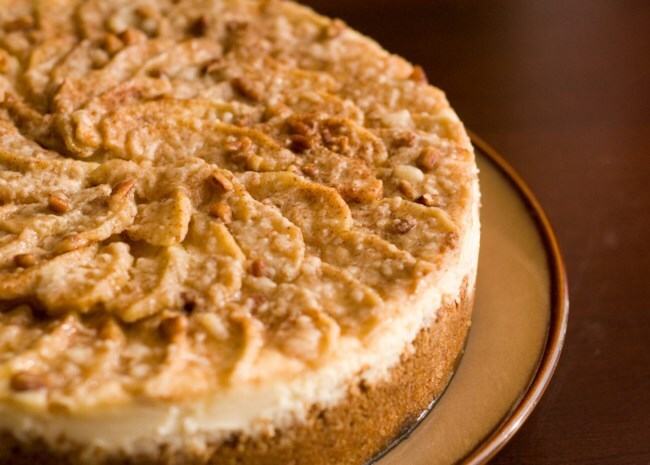 This cheesecake has everything: apples, cinnamon, pecans, and an unmistakable autumn vibe. Jillian raves, "In a word - Fabulous! If you LOVE apples and you LOVE cheesecake then this dessert is for you! I had my eye on this for a while and decided to make this for Thanksgiving and was so glad I did! The crust is awesome." Here are 10 more irresistible fall cheesecakes. Who eats Thanksgiving cookies where there's pie and cake and cheesecake? Everyone! So make these crowd-favorites and watch them disappear. These easy, autumn-spiced cookies are soft and cake-like. 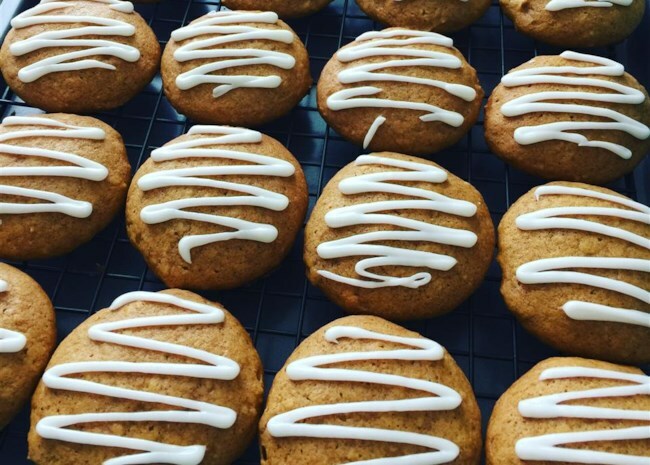 JPICHE says, "For someone who has never liked pumpkin much, these cookies are just pure DANGER! Not only was the wonderful 'fall' aroma wonderful through the house...but the cookies are extremely tasty." Sugar cookie cut-outs are easy and versatile, and they give you a chance to show off your creativity. 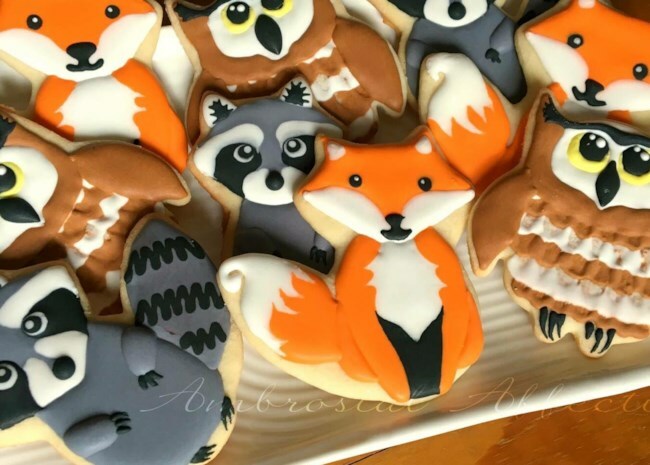 We're not saying you should tackle these cookies if you're also in charge of making Thanksgiving dinner, but if you're bringing a dessert to share with family and friends, go on and knock their socks off with your mad sugar cookie baking skills. 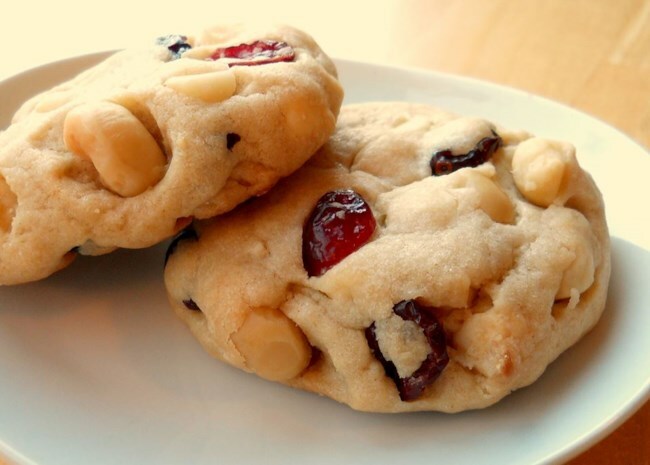 Dried cranberries give these easy cookies that Thanksgiving flavor, and the white chocolate and macadamia nuts make them perfect for a special occasion dessert cookie. Valerie Brunmeier says, "Delicious! I used parchment paper lined cookie sheets and chilled my dough for about an hour before rolling into small balls." It's true, online searches for bread pudding spike at Thanksgiving and Christmas. And for good reason: It's an easy comfort food dessert that's the polar opposite of fussy. 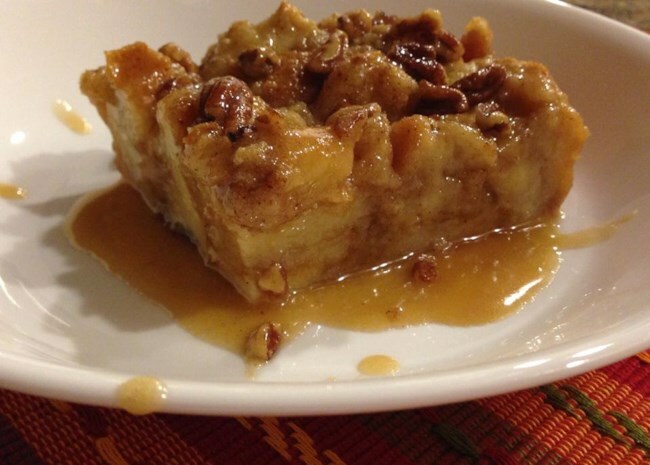 Serve up a warm bread pudding on a cold autumn night and listen for the mmmms and aaaahs. "I made this for a Thanksgiving dessert," says arisa. "Great hit with the family! Easy to make with a taste of elegance. I will be making this again." Chilly weather doesn't stand a chance against this warm and cozy bowl of saucy goodness. Occasional Cooker says, "OMG! I think I have died and gone to heaven eating this fantastic praline bread pudding! It is awesome! And it tastes great either hot or cold. It was so easy to make." "This was our Thanksgiving dessert and EVERYONE thought it was a HUGE success," says Nancy Reid. "From our two-year-old grandson (who pulled up a stepstool in the kitchen so he could help himself) to my 60-year-old husband, and everyone in between! This will become a staple at holiday meals."